Comments What a gorgeous and distinctly translucent Natural Pearl from Australia, with a royal silky feel and a Pure white color with cream overtones! 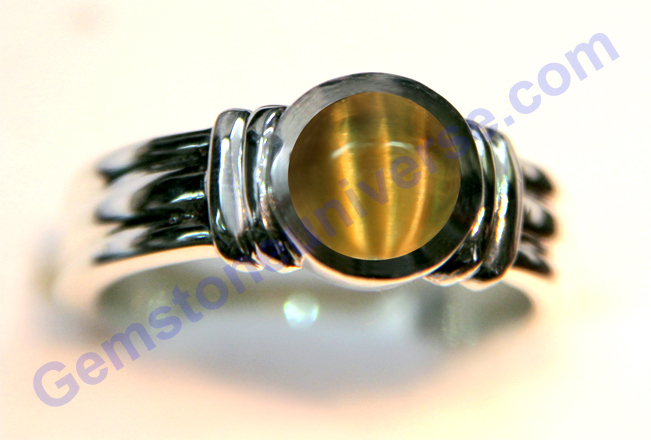 Set together with a Natural Yellow Sapphire and making a potent and powerful Talisman! Note: The above links generally exist on the website for a period of 40 days after which they are periodically deleted to make way for new gemstones and to enable faster browsing.An Unheated and untreated Yellow Sapphire from Sri Lanka with a alluring Ceylon Golden Yellow Color! 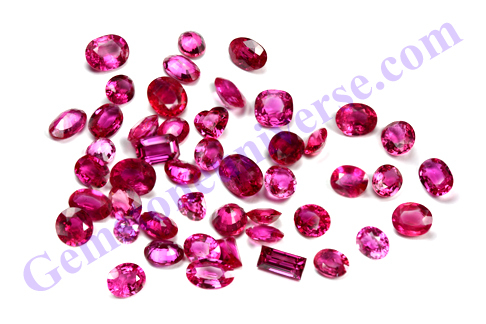 An eye clean gem with good lustre and superior Jyotish Qualities! 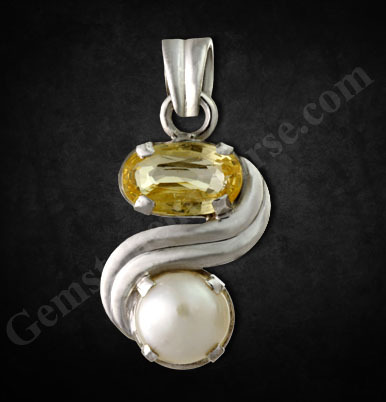 A fine Sattvik gem set with the Natural Pearl in a sterling silver pendant and a powerful talisman! 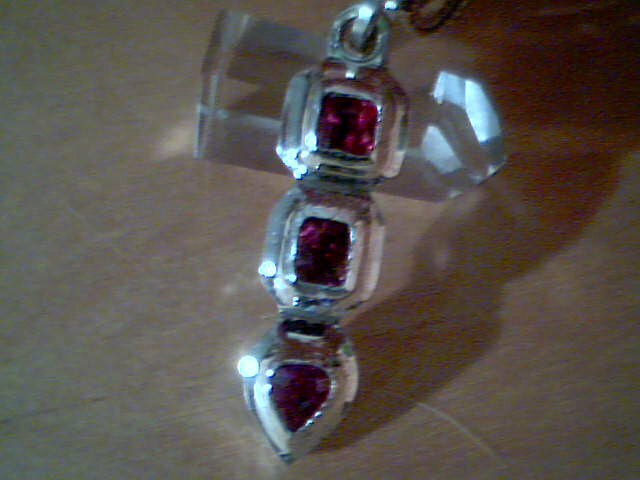 Comments Certified organic and natural this one of the finest Ox Blood Red Coral from Sardinia, Italy! Mediterranean Sea! This Triangular organic beauty with a top grade flawless surface is a delight to behold fine ox blood color and superior and Sattvik Jyotish powers! 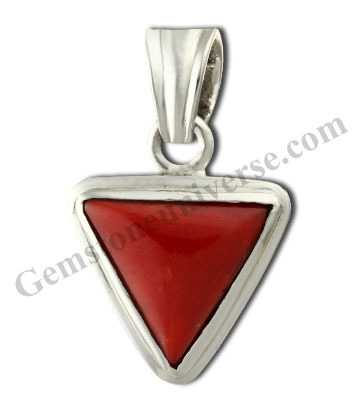 Set in a sterling silver pendant this has made a superior Mars talisman! Comments Coming in at a whopping 4.56 carats with a clarity level of 85% plus and deep green color that is a characteristic of Zambian Emeralds this is made to deliver promised results of Mercury.What a deep and rich color! A fully natural and unenhanced Emerald from Zambia that is so massive in size and Sattvik energies that surely this gem has the Jyotish powers to propel the wearer to great heights! 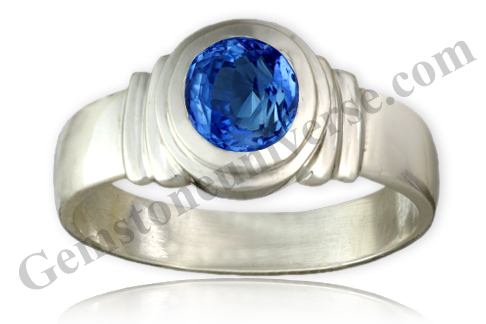 Set in a sterling silver ring with potent symbols of Mercury on its shanks and with 2-cent diamonds on the symbols! 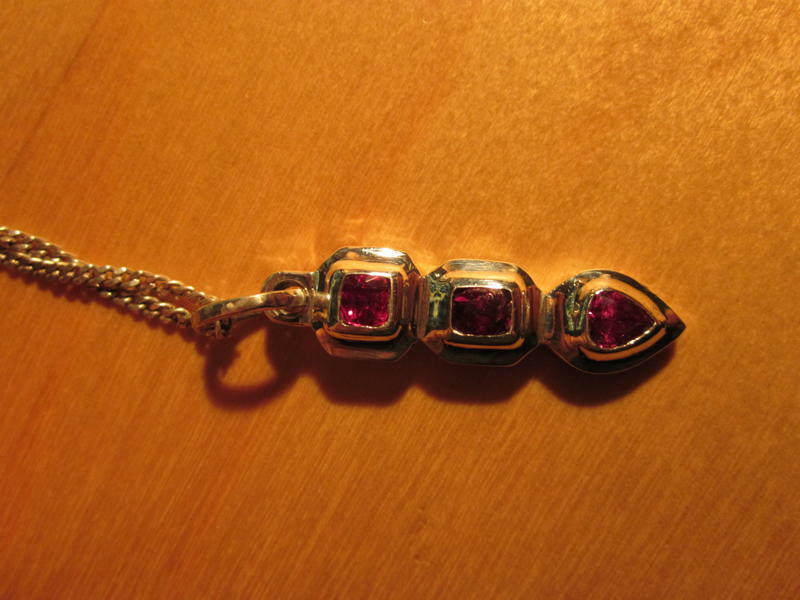 A beautiful and powerful Mercury Talisman this one! 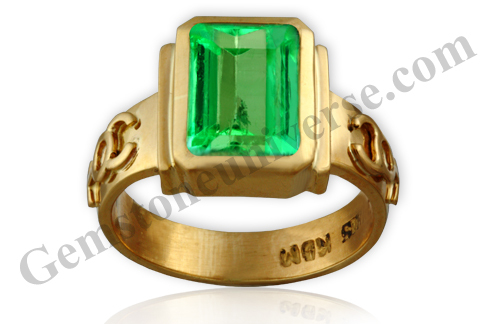 Comments One of the finest Emeralds of the famous Muzo mines of Colombia! 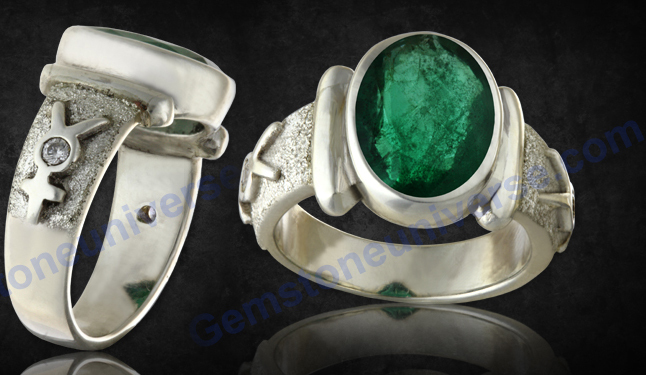 With over 90% clarity and an exotic Korean Grass juice green color and a superbly symmetrical cut, this fully natural and unenhanced Emerald is one of the most potent Jyotish gemstones! With Sattvik qualities and a powerful persona this gem set in a 22K Gold ring with the ancient symbols of Mercury on its shanks is making one powerful Mercury Talisman! 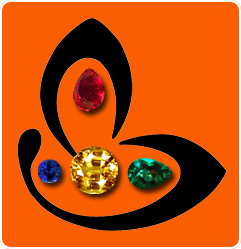 Comments A deep burnt orangish cinnamon colored Natural Hessonite from Sri Lanka, that is aglow with the powers of the shadowy planet Rahu! 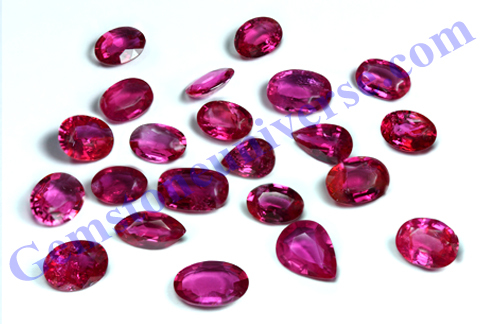 A magnificent intensity of color, and fabulous clarity level at almost 100%! A pleasing cut and a fantastic size to round off the perfection of the 4Cs of gemstones! Add to that the magical and Sattvik aura that reflect mystical Jyotish powers of Rahu! 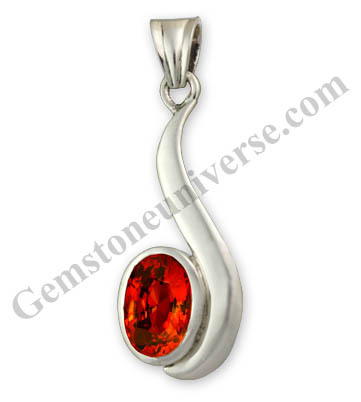 And to top it all set in a beautiful sterling silver pendant and you have got a powerful Rahu talisman that is sure to deliver the best results of the North Node – Rahu!